Running a email marketing campaign is incredibly important for the success of your business. But how do you get their emails in the first place? Here are 7 ideas you are sure to love! With so many new ways to reach customers online, it can be easy to forget all the tried and tested ways of promoting your company online using lead generation. But hey, I’m just as guilty of it! 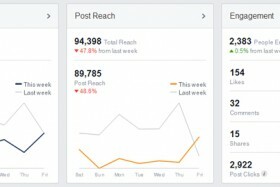 I just spent the whole of last month raving on about Facebook and how to pimp your business with Facebook. But that doesn’t mean you should ignore the old tricks that work. Results are what counts. So what’s still my favourite online marketing tool? Why good old email marketing! Is it a little weird talking about email marketing like it’s some sort of ‘forgotten art’. After all email isn’t that old is it? (Or is it!?). I needed to write this post because I’ve noticed several businesses recently who aren’t collecting their email addresses of their potential customers. To me that’s just CRAZY! If you get your customer’s email address, you have marketing gold. Why? Because you’ve got ‘em in your hot little marketing hands and you can re-market to them again and again and again (if you do it well, that is). If you didn’t get the initial sale, you can send email reminders and get their business in the future. You can re-advertise to your current customers for more repeat business. You can keep yourself relevant by sending your potential customers useful information. You can email special offers and discounts to drive up sales during slow periods. You can successfully launch new products and services to a relevant/receptive audience. As you can see, running a regular email marketing campaign is vital to the health of the modern small business. It’s the backbone of my own marketing efforts and they’ve been a big part of making Web123 a success. Are you convinced yet? Ready to give it a go? Wondering how to collect email addresses? Here are 7 golden ideas for you! eBooks – The old staple of email collection. And with good reason! If you’re an expert or knowledgeable in a certain area, you can offer your valuable knowledge in exchange for an email signup. Video series / Webinars – As online videos become more and more sophisticated, marketing professionals have been taking advantage by offering engaging and informative webinars series to attract customers.If you have the capabilities to do this, take advantage because this is a real winner with customers! Competition / Prize drawer – Everyone loves to win! I know a chocolate company who offered their customers a chance to become a taste tester and get free tasty treats every month.They then promote the winners and get them to talk about how tasty the choccies were. I bet that worked a treat! I know I would of love to of won that. Just remember to promote the winner to give your competition legitimacy. Email series – Depending on what you’re selling, you can sometimes get signups purely on the strength of the emails themselves. For example, if you’re looking to improve your health and fitness, then you might be interested to join a mailing list that sends you advice and articles in that area.Combining informative emails with the occasional promotional push can really help bring awareness to your product without being too pushy. Free trial / sample – This can be very effective, especially if you have a product or service with a high entry cost or ongoing commitment (e.g. like if you’re a gym business and you want to get people in your door to experience what you have to offer).Not only can you get an email address out of it, but offering a free trial / sample, can help get that person over the line and become a fully fledged customer. Special offer / discount – An oldie, but definitely a goodie. If you’ve got a customer who wants to buy your product, sometimes a discount can be enough to get them to sign up to your mailing list. Personally I recommend you only run these for limited runs, as it makes your “full prices” legitimate and also put a bit of pressure on your customers to “BUY NOW”. But don’t sit on your list or you’ll be dead in the water! Repetition is key so make sure you that you decide how often you’re going to do it, set the date and stick to it. I started off monthly and now do weekly. If you’re unsure, test and measure. I said to myself “if I’m going to lose subscribers switching to weekly, I’ll switch back” and when I tracked it and found I wasn’t losing subscribers, I’ve stuck to it ever since. Remember, it’s now easier to collect emails with your Web123 site. We’ve made it even easier for our Web123 customers to collect emails addresses. Setting up ANY of the above ideas is as easy as counting to ten (ok ten-ish), but if you need any help setting up the above with your Web123 site, just give our friendly support guys a quick call. They live to serve! Jump into this now and before you know it, you’ll be creating a big juicy database full of potential customers that will become the backbone of your inbound business.